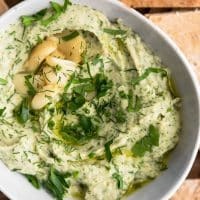 White Bean Dip with Roasted Garlic and Herbs | Naturally. In the grand scheme of beans, I think chickpeas are slightly overrated. Don’t get me wrong, they are one of my favorite ingredients (just look at all the recipes that use chickpeas on my site) but when it comes to legumes, there are many options for many different uses. More and more, I’m turning to the broad range of white beans. I love these easy-to-use beans in salads, soups, and especially in the form of dips. These beans have a creamier texture which translates into a perfectly smooth white bean dip. For this particular version, the addition of roasted garlic and herbs creates the best game night addition. 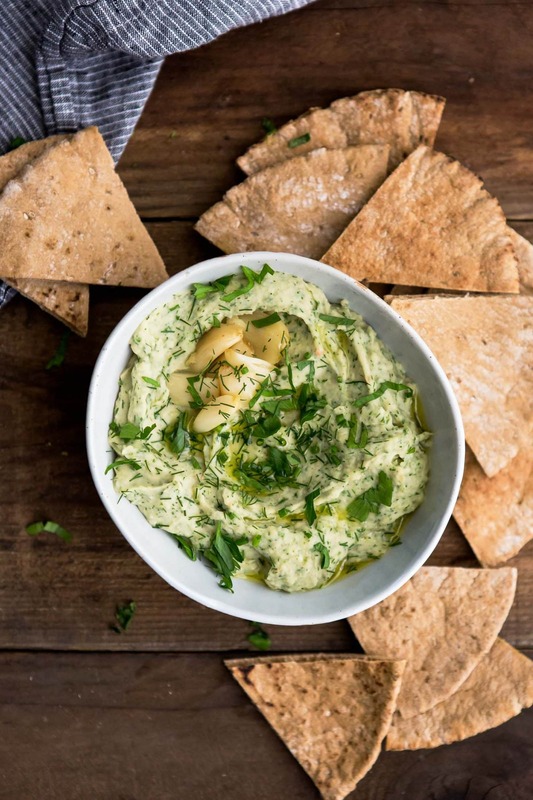 An easy and beautiful white bean dip that is the perfect appetizer or snack. Made with roasted garlic and a handful of fresh herbs. In a food processor, pulse roasted garlic cloves until minced. Add in the herbs, pulsing a few more times to mince. 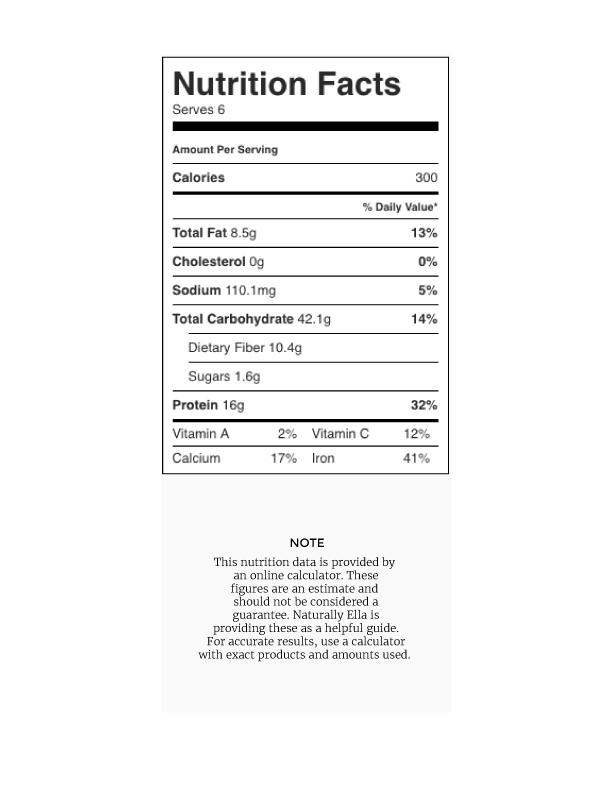 Measure in the beans, 2 tablespoons olive oil, and 2 tablespoons lemon juice. Run the food process until the dip is smooth, adding 1 tablespoons more of olive oil or lemon juice as needed based on taste and texture. Taste and add salt as needed. Tips & Tricks: My favorite way to roast garlic is to cut the top from the head, enough to expose the garlic, rub generously with olive oil, then place face-down in a roasting pan. Roast at 400˚ F for 30 to 40 minutes, turning over after 30 minutes and continuing to cook until soft. Herbs: A couple other options beyond the combination above: basil (or pesto), sage- great for fall, or cilantro. Spicy: Add a sprinkle of chili flakes or one of my favorite things to do is add a scoop of curry paste or powder. Vegetables: One of my favorite things to add to this dip is sweet potato or squash puree, about 1/2 cup or a little more. Adds a nice flavor and tint to the overall dip. 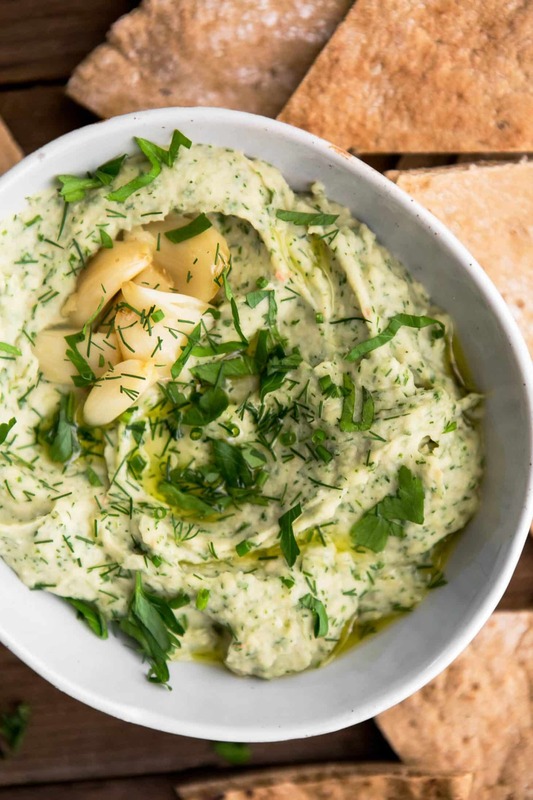 The final recipe in the game-night series, this white bean dip is the perfect all-night snacking dip when paired with pita, crackers, or toasted bread. And just incase you missed the rest of the menu, here are the links. 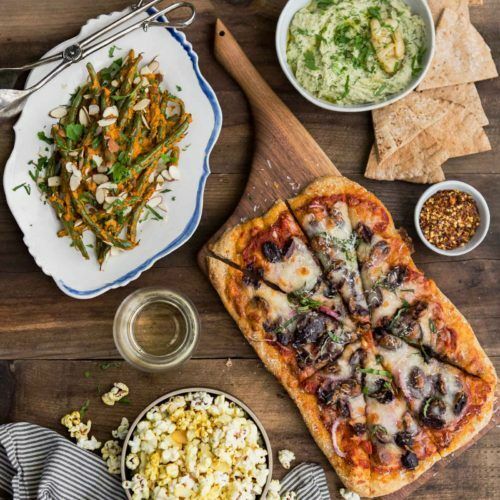 Make any of these recipes for your game night? Be sure to tag it #naturallyella on instagram!